"I love the idea of making something beautiful and original out of seemingly nothing. I love the idea of making something useful with little or no cost. I love that sense of nostalgia I get when I see an old, worn, hand-quilted quilt, that was pieced together with scraps saved over the course of many years. Scrap quilts are charming to say the least! That's why I had so much fun making these little cuties a few weeks ago. 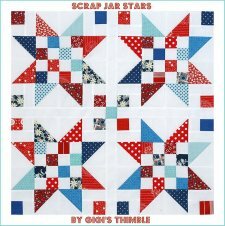 I called them my Scrap Jar Stars. 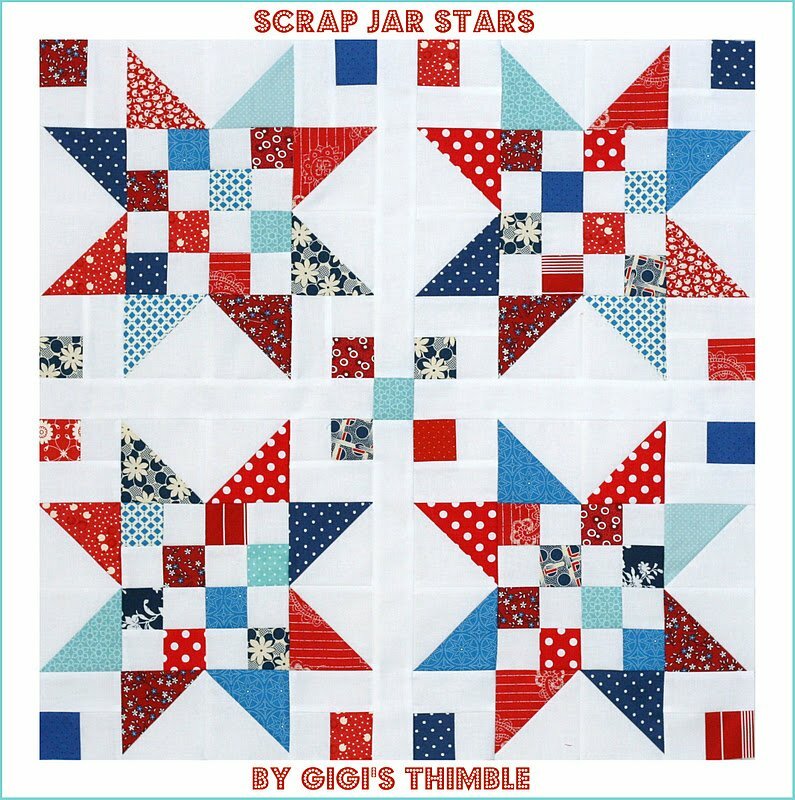 "As part of the Sew Scraps Along, I decided to make up another colorway of my Scrap Jar Stars. I pulled out my reds, navys, blues and aquas from my scrap jars. I'm loving these colors against the white. A happy and fresh combo if you ask me. 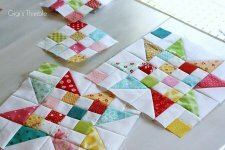 Of course, there's a million different possibilities, so pull out some of your favorite scraps and let's get started!"